Lelapa, which means ‘the home’ was established in October 1999 in Langa, Cape Town’s oldest township (or informal settlement), when Sheila and Monica Mahloane (mother and daughter) converted our home in order to seize an entrepreneurial opportunity. 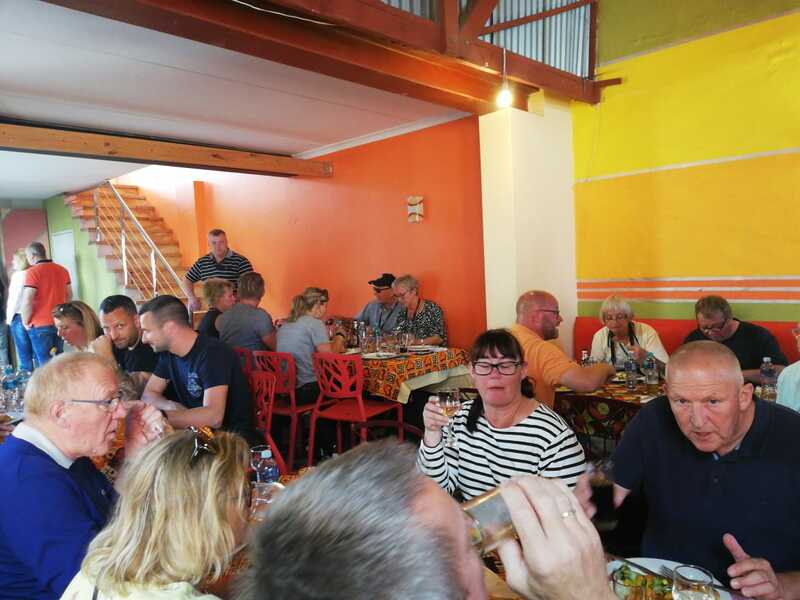 We saw all the tourists’ buses driving past our township on the way to the winelands and our idea was to create a restaurant serving tradition township cuisine and invite guests to experience a bit of township life. Cooked as is and tossed them in lemon and herbs (3 herbs). Baked sweet potatoes in caramelized sauce and mustard seeds. Ostrich is prepared in coriander chilli and salty paste. It is cooked mix with onion and 3 Kinds sweet peppers and flavoured in a tangy sauce. "What a remarkable restaurant! We enjoyed a combination of mouth watering food and enchanting atmosphere of music and culture. It was indeed a very memorable lunch and event! Will definitely recommend it to all my friends visiting Cape Town"
Our focus is on providing our guests with great ambience and an authentic township experience.We involve them in the African tradition of storytelling by sharing the tales of our history with them.